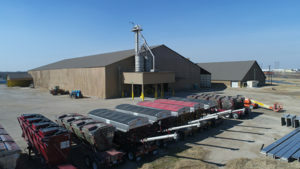 Managers of small and large fertilizer blending locations find ResponsibleAg audit process simple and helpful. 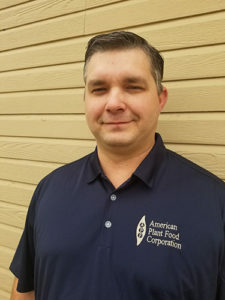 Whether responsible for three employees or 20, plant managers at American Plant Food Corporation’s (APF) fertilizer blending locations believe the ResponsibleAg audit helps them improve employee safety. 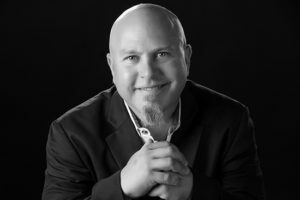 Michael Murphy manages the Troup, Texas, location and has been with APF since 2000. Murphy views his three employees as family. In fact, Murphy’s family owned the plant before it was sold to APF in 2000. One current employee has been there since Murphy was a toddler. APF is a leader in producing ammonium sulfate-based blended fertilizers, marketing thousands of tons of ammonium sulfate annually throughout North, Central and South America. Justin Martin agrees. He oversees 20 employees at the APF location in Fort Worth, Texas. The ResponsibleAg Certification Program helps members ensure they are compliant with the gamut of environmental, health, safety and security regulations from OSHA, EPA, DOT and DHS. 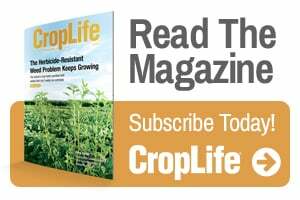 By following a systematic approach, members will improve their efforts to properly store and handle farm input supplies, keeping employees, customers and their communities safe. Member locations follow five simple steps to reach certification that their facility is operating safely and complying with all regulations. The first is to prepare for the audit by reviewing the ResponsibleAg assessment checklist and doing a pre-audit of the facility. After reviewing the assessment checklist and making initial corrections to the facility, an auditor is selected from an online list of ResponsibleAg-credentialed auditors. ResponsibleAg helpdesk staff also help members walk through the process to choose an auditor for their location. Next comes the big day — the facility audit. “The checklist helped the auditor and me communicate better because everything was very organized,” Murphy says. “I had a list of questions and our auditor clarified what we needed to do during the audit and in the improvement plan we got after his visit.” Once an audit is completed, the facility receives a Corrective Action Plan noting improvements needed. After making and documenting the adjustments, the location receives its ResponsibleAg certification which is good for three years. APF is headquartered in Houston, Texas. 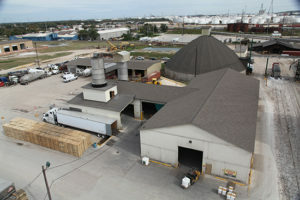 Safety is paramount at the 11 dry-blending locations it operates throughout Texas. At Martin’s Ft. Worth facility, eight areas of the operation were evaluated. The thorough process covered every aspect of the location from mechanical, electrical, housekeeping and cleanliness to equipment such as ladders, fire escapes and electrical cords. Murphy explained that the ResponsibleAg audit also helped him better understand which products needed Safety Data Sheets and the importance of organizing them in a central location. For more information or to join, visit www.ResponsibleAg.org or call 270-683-6777.